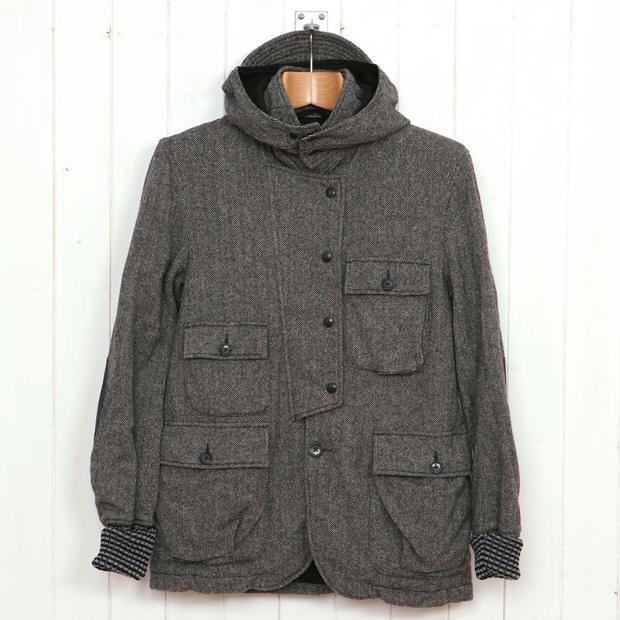 This absolute beauty is one of the latest releases from Engineered Garments. 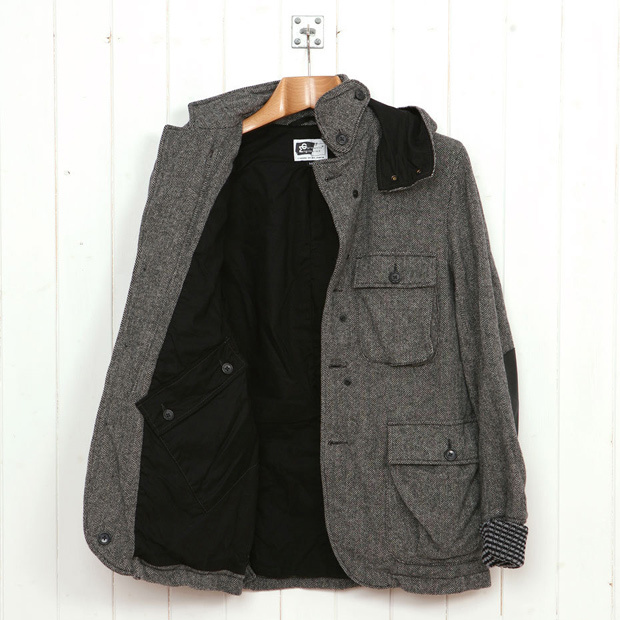 Each and every aspect of this jacket has been designed with one thing in mind, cycling. Well really it’s 4 things; cycling, functionality, durability and most importantly, style. You get the picture – you wear it on your bike. These features include a bi-swing back, button front fastening with partial press stud stormflap, four large front button pockets and one large button flap pocket to the rear sat above two rear button vents make accessing your belongings on the move a breeze. 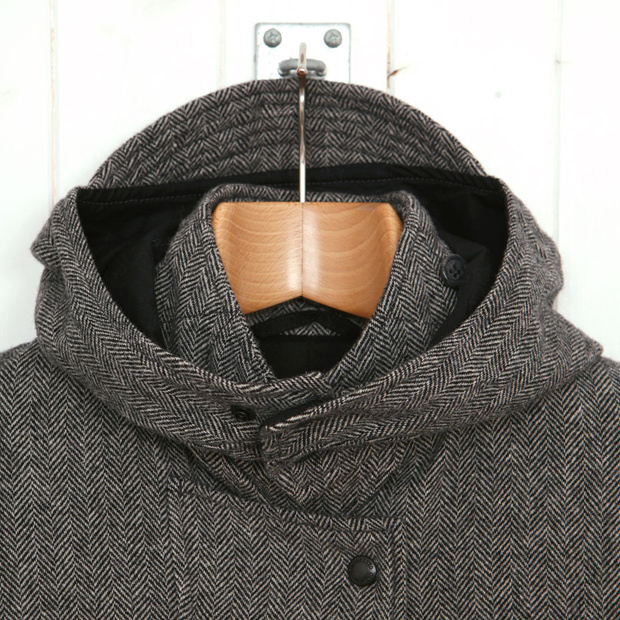 It also features a large detachable hood and knitted hand warmers which can be rolled back to form a ribbed cuff, plus a favourite of mine – leather elbow patches. As someone who’s only form of exercise each week is probably the walk between getting off the bus and getting into work I can honestly say I’d start cycling just to get the most out of this garment. 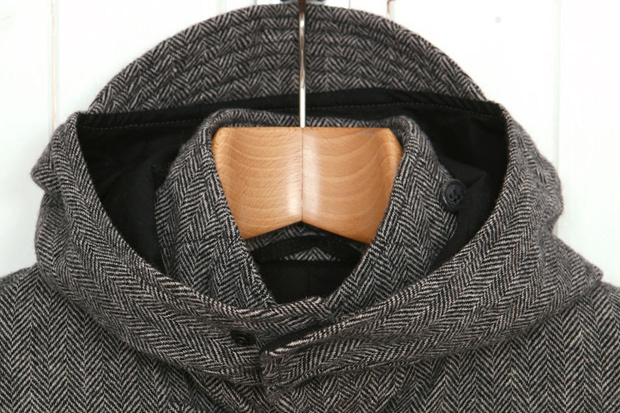 The black lining against the grey herringbone is contrast styling at its best and with the pocket placement, almost make it intimidating! 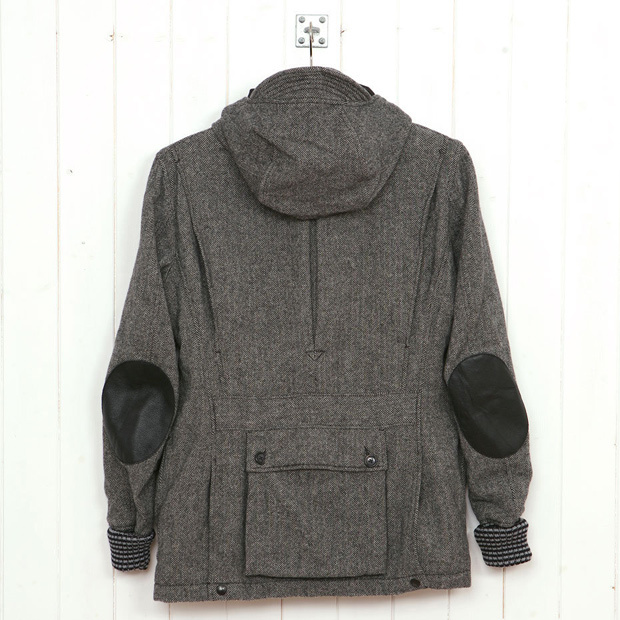 The perfect stylish gift for Christmas, this Bike Jacket can be found at Oi Polloi for £450.